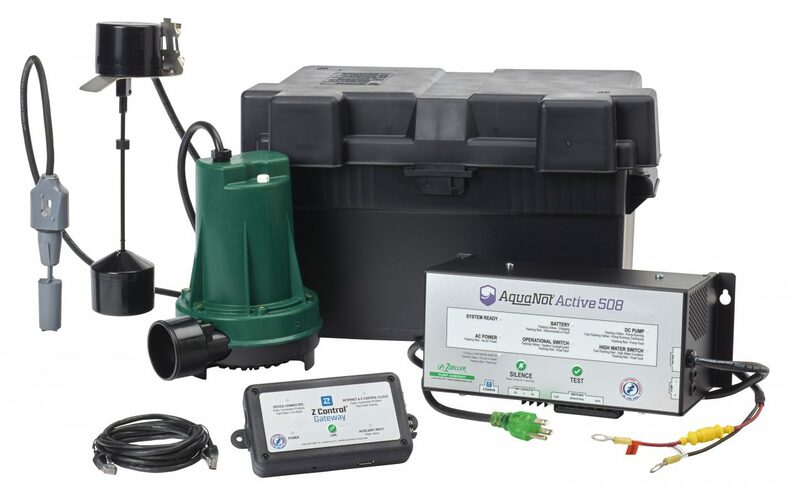 A battery backup sump pump system provides added protection in case of an overwhelmed sump pump, pump failure or loss of power. 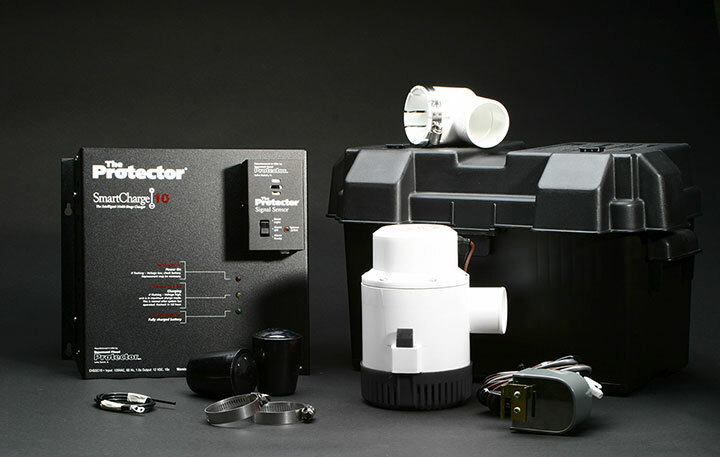 Basement Flood Protector manufactures and carries the best in battery backup sump pump protection. Designed and tested for reliability, the Aquanot 508 Active DC sump pump works alongside submersible or pedestal pumps to provide up to 5.5 hours of continuous high performance pumping when the primary pump power is interrupted. The Active controller includes protection, an automatic changing system, low battery indicator and alarm. Redundant high water switch and self-testing technology. This type of backup sump pump uses regular municipal water to help keep water out of your basement if the main pump either fails or loses electricity. This type of system is triggered by a backup float switch in the sump basin, which is located higher than the primary pump. When the backup kicks in, water flows through a chamber that is mounted high above the sump pit. This moving water creates suction, which then draws water from the pit and sends it outside. The water flow will stop when the primary system resumes operation. A battery-powered backup sump pump system provides protection in two ways. If your electricity is on and your main pump fails, the backup will run on regular AC power. If you have an electrical outage, the backup pump will run on battery power. We’ve proudly manufactured and installed the Protector Classic Series for over 2 decades.